A magnificent archeological discovery has been made! While tracing the prehistory of rogue and its roots… we have found what could be called its “Rogue’s long lost and forgotten brother”… the so called “Beneath Apple Manor” video game by Don D. Worth, predates rogue for two years, and sports most, if not all of its main features. How could we not see this, in front of our own eyes, for so many years? You also learned that just about everything was out to hurt you, which is kind of par for the course in a Roguelike. Monsters would pop out all over the place. On top of that, even items could hurt you. I remember finding a treasure chest with a potion in it. The game asked me if I wanted to drink the potion. In my youthful exuberance I naturally had to quaff the thing… and promptly lost all my memories. See, learning through forgetting. It’s the Rogue way to do things! The game plays a lot like rogue, though it lacks its ASCII display, but as you can read, it even has some “hack” kind of effects, turn based gameplay, semi-complex items… the game also gives you some tips, which are helpful for the newbie. It even features simplistic shops, which is great for its time. The game is much more than just interesting for its historic value (like… *gasp* Escape from Mt. Drash), it is actually a fun game, worth giving a shoot! I based the game on Dungeons and Dragons (paper and pencil game) and DragonMaze (the free game that came with the Apple II). Rogue, good old Rogue, one of the most challenging roguelikes ever created and a legend of 80’s gaming. 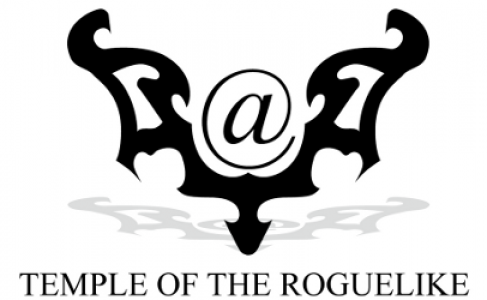 Good old Rogue… how many more times will I have to yell at my screen and bash my keyboard in frustration, how many games will I have to play to get the precious amulet of Yendor, the source of all power… to level a city, to slay all within.